Okay, so I’m two and a half weeks in now and I don’t even really know where to start! I felt relatively well prepared for french bureacracy before I arrived, but it’s so slap-dash that you never actually know what’s around the corner. I’d put money on it that the saying ‘expect the unexpected’ came from someone who was dealing with the French. If I start at the beginning, I basically lucked out on my first day here. That morning leaving Paris, I got an email saying that there was an email with my file and so I had to provide more documentation. Problem…? Yep. I had my details filed away, but my mum and dad’s stuff was all back at home and CROUS claimed that I wouldn’t have anywhere to live until they got them. This all led to a stressed out train journey sans Wifi and trawling the university campus until I found the administration building. To top it all off, there wasn’t actually a problem just the first of many miscommunications and so the director whisked me the the front of the queue without an appointment and handed me my room keys there and then. Nailed it. Setting up a bank account didn’t prove to be very difficult either since the Erasmus society had partnered up with BNP Paribas to get us a good deal, but maaaaaaaany days later I’m still waiting for the pin for my debit card. I’ve got my client number and online password, so I can look online and see money in my account, I’ve got the card itself so that I can think about withdrawing money and how nice it would be to buy something other than soup and bread… but no pin. I went to the bank this morning to check out the situation and got the classic ‘wait it out’ response. It’s very popular here. I’ve gone from being on the pain au chocolat diet to the ban au chocolat diet because, unfortunately, PASTRY IS NOT A FOOD GROUP. I think bread and cheese are though. I have also developed a minor eye twitch which I’m putting down to a combination of caffeine intake, lack of sleep and module stress because the timetable here is nigh on IMPOSSIBLE to decipher and the only way to find it pre-registation is pinned up on a board somewhere in your faculty. Luckily, I have now managed to register as a student and, even though I have to take around 9 modules a term to get the required number of credits (at around x4.5 my regular Durham hours), I am somewhat relieved. Classes can also last up to three hours each here which is a fun concentration game for everyone! I nearly cry with joy any time I hear the word ‘pause’ and the french students flood out for a cigarette break and I inhale coffee. I definitely sense a bit of improvement with my french already though/I’m not QUITE as bad as I could be. I’ve also promised myself to turn over a new leaf when I’m back in Durham… I never made much effort to get to know Erasmus students but now that I’m one of them I JUST WANT TO MAKE SOME FRENCH FRIENDS. And that’s hard. 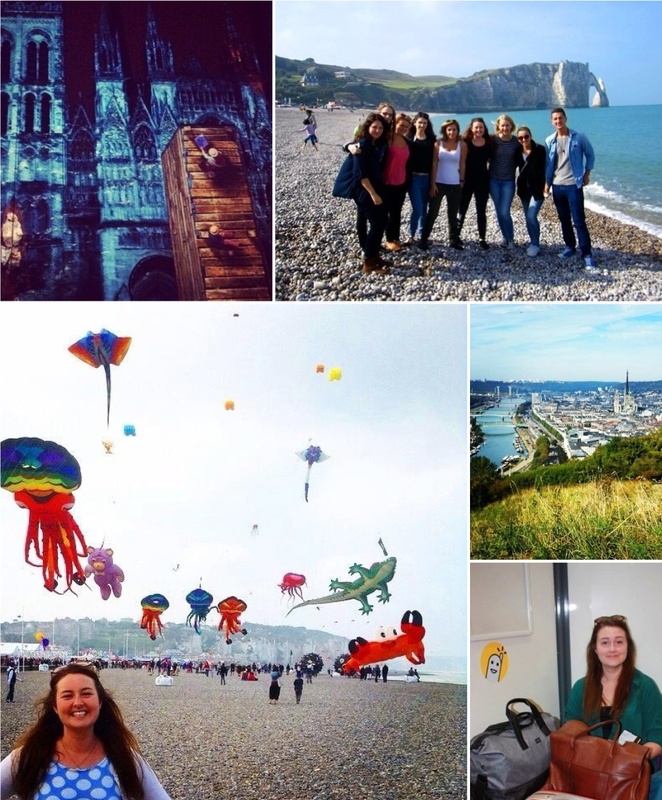 As a whole, I’ve met a lot of fantastic Erasmus students and some –a lot of?– overly friendly french men, but all of the foreign students are having problems connecting with the home students. We’re only been in class for a week and a half though, so maybe it’ll take some time. I’ll keep you updated either way! !